Will History Stand The Test Of Time? Sometimes when I’m bored I look through my old photos. It often results in me being embarrassed due to poor fashion choices and/or weird camera angles. It also brings back memories. 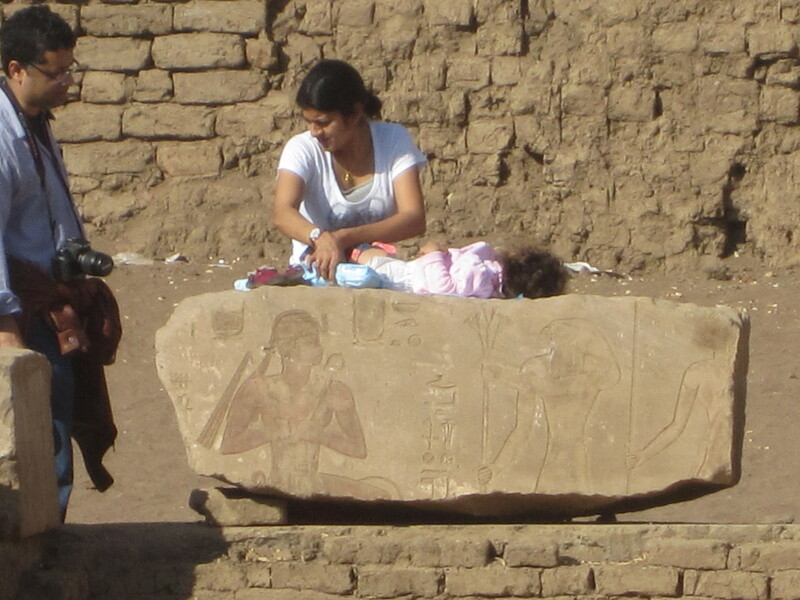 I was particularly amused when I was looking at my photos from my trip to Egypt…..
…….And I found this gem! The most interesting part to me was that no one was telling her off. Don’t get me wrong I completely understand that if a baby needs changing it needs to be done, but it was fascinating to see how nonplussed everyone was about it. This made me think. How attached are we to the preservation of ruins? Therefore I decided that it was best to look at the different ways we are preserving our heritage. I know that personally, I would be severely disappointed if we let them rot, but on the other hand it would be fun to run and frolic through the ruins freely. I guess you can’t have it both ways! That being said, preservation has also been used as an excuse for European countries to keep priceless artefacts from their country of origin – *cough* England *cough*. 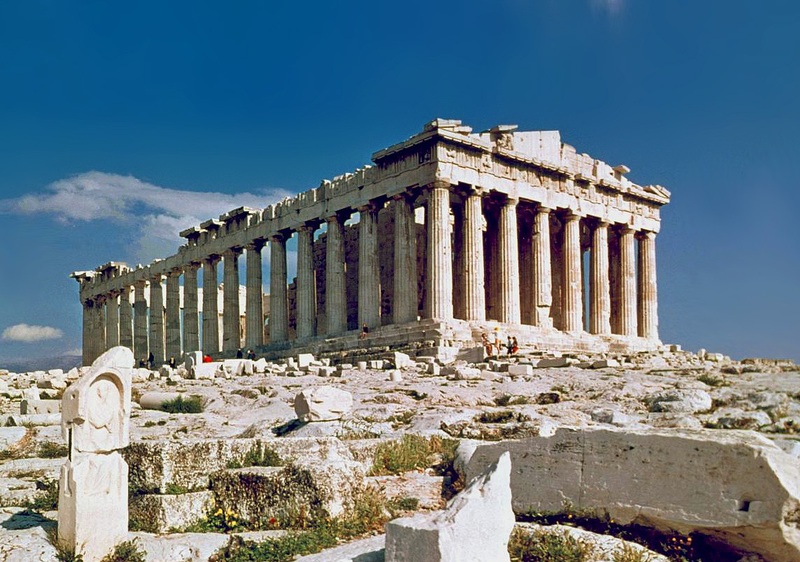 For those who don’t know what I’m talking about let me enlighten you….You may have heard of the Parthenon in Athens. One of the most recognizable ruins in the world. Now, I’m a big fan of the British Museum – I almost lived there when I was a student, but this started a feud that has been going on since the early 1800s. It’s almost comical how every year the Greek government asks for them back and every year the British government says no. The best is that the latest excuse was that Athens had no way to properly preserve the marbles. So what did Athens do? They built an Acropolis museum of course! Still no luck in returning them though. On the other end of the spectrum you’ve got Egypt, suffering at the moment from political and religious upheaval. They have more ruins than anybody knows what to do with and no one is going to see them. 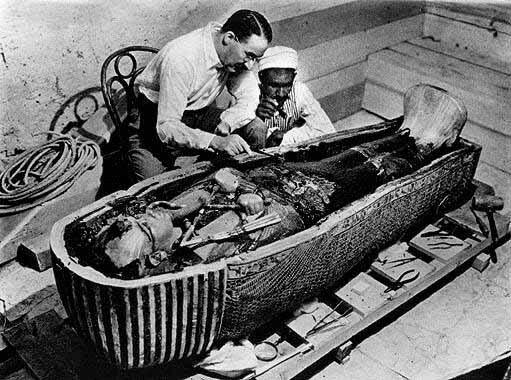 Although, unlike the Greeks they have their most prized relic – the treasures of Tutankahmun – firmly on their own soil, in Cairo. When I was there I came across a man in the street who claimed to be a curator at the Egyptian Museum (he wasn’t) and have a PhD in Aromatherapy (he didn’t). So I listened skeptically as he ranted about the return of all the Egyptian artefacts, including the Obelisk in the Piazza del Popolo in Rome. The more observant of you may have noticed that I know a lot about Paris. This is because I live there! 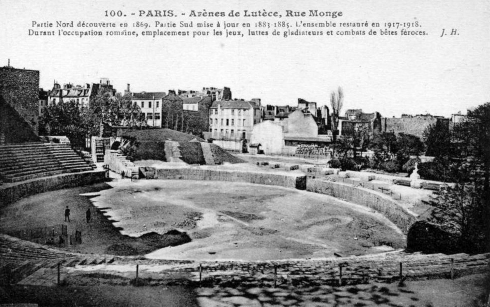 One of the most interesting example of historical preservation here is the Arènes de Lutèce (Arena of Lutecia). Lutecia was the Roman town that Paris now sits on. The current name comes from the Parisi tribe that lived in the area before the Romans stepped in. Due to a massive architectural revamp campaign in the 1860s by Baron Haussmann most of the Roman remains were either destroyed or buried very deep. The arena is one of the true examples of preservation, but also of recycling urban space. It was once an arena meant for lavish entertainment in the Roman era. Now it’s a public park. 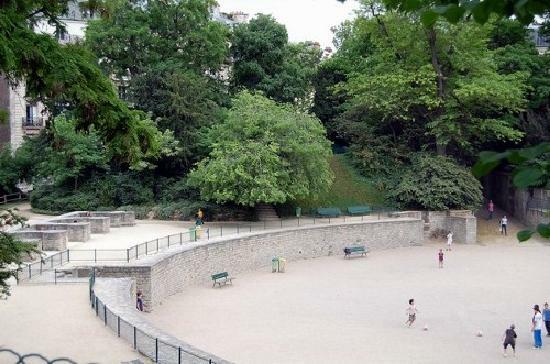 Kids play pickup games of football and groups of elderly men play pétanque throughout the year. I’ve even seen a man there walking his cat on a leash! This is all to say that there is no right answer when it comes to preservation, but let’s hope that we have enough common sense as a society to realize how important it is to keep our history alive!